Have a question for Rider Resort? Your vacation will be unforgettable at the Rider Resort. This resort is near Miss Violet Vintage Shop, Train Night Market Srinakarin, Seacon Square, Paradise Park Mall, and Rama IX Royal Park. 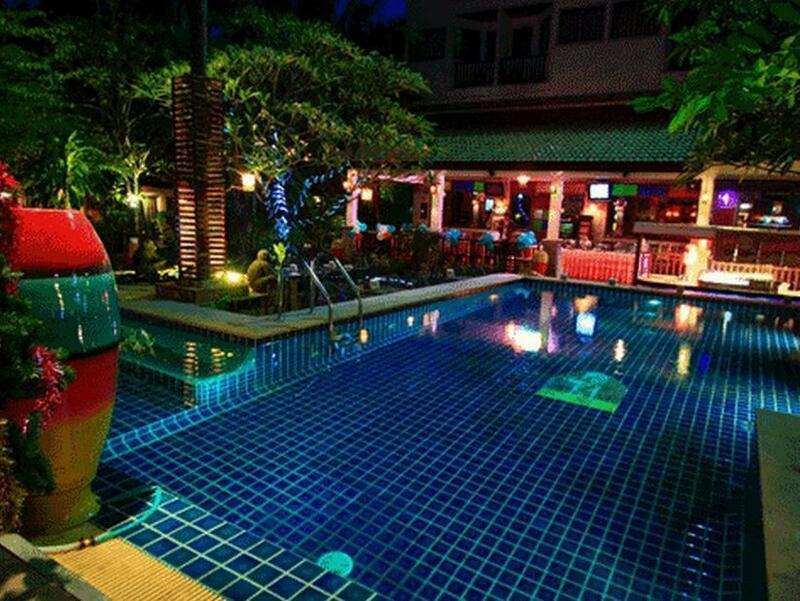 It has a kids swimming pool, so there's no need to worry about your little ones swimming in the deep end. The Rider Resort offers a selection of facilities for you to make use of throughout your stay, such as a golf course, a garden, a nightclub, and an outdoor swimming pool. Whether it's a bar or room service, it has a range of dining and snacking options for guests to enjoy. To make your holiday truly relaxing, you can take a break from your other activities and pamper yourself for a few hours with a massage. 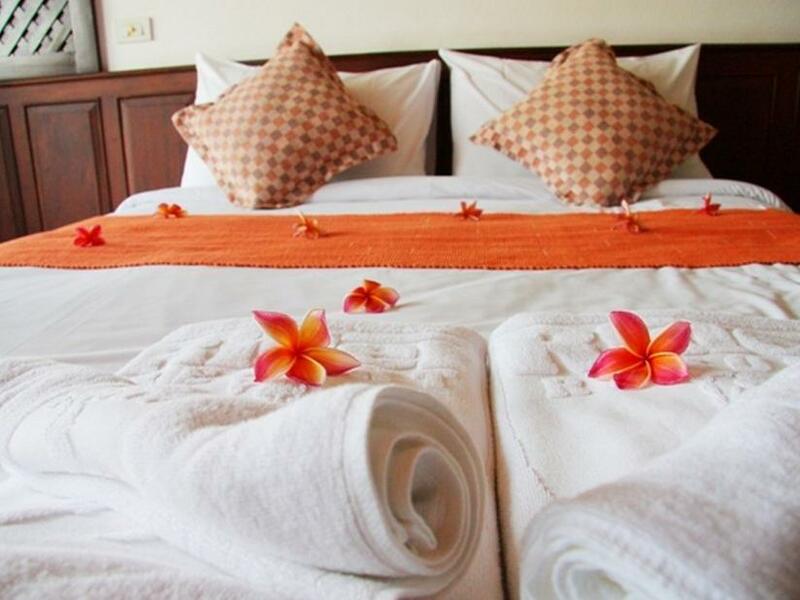 The Rider Resort offers a variety of convenient services, such as a concierge and laundry services. There's free Wi-Fi available in all rooms, as well as Wi-Fi in common areas, connecting you to the web so you don't need to purchase a local sim card or spend on roaming and data costs. All of the rooms come with air conditioning, a bathtub, a desk, and a refrigerator. They are also equipped with a wake-up service, a CD or DVD player, satellite or cable channels, free bottled water, and more. Airport Rail Link Hua Mark Station is 4.5 km away and Punnawithi BTS Station is 4.8 km away. The nearest airports are Suvarnabhumi International Airport (BKK) and Don Mueang International Airport (DMK), which are 10.8 km and 24.9 km away. The resort offers check-in from 02:00 PM and check-out until 12:00 PM. This place has lots of potential, but it's in desperate need of a make over. Still, it's OK considering how cheap it is. It's a cool hotel with an old theme in a quite location. Staff is very friendly. I paid about 800 b for the room I had, and it wasn't worth it. The beds are hard, and the bathrooms super crusty. Funky place but fun , decorated with motorcycle and car pictures and memorabilia ....just next to the Seacon Square mall . Pros: live music near train market and shopping mall Cons: There were cockrocess inside the room not. You might think that one is fine, but there were 5 of them and the air condition was not cold at all it was very hot. Never been clean. Never buy things at hotel always buy from outside. Awful smell at main entrance and room corridor!!! I want to visit Rot Fai night market so I decided to stay over night nearby the area. I founded this is the closet one. Anyway, the stay was pleasant. The hotel looks a bit vintage which it was nice. You will find some vintage cars and motorcycles exhibited at the parking area. The rooms were a bit too old, but good enough to provide comfort and good sleep. Air condition was cold. Breakfast was standard. The hotel was ok, except the live band that was abit noisy but was lucky to get the room facing the main entrance of the hotel. Hotel gave me wrong room type. Changed to correct room type but aircon is very noisy. My partner was happy with the current room so we did not change. One thing disappointed is that the hotel did not do customer recovery by refunding or give anything complimentery to resolve their 2 mistakes. Long walk to main room as there were no taxi. But it will be nice a shuttle service to be provided for guest to be at least sent to seacon square or main road. Or even call taxi for their guest. it was a good relaxing stay, to recover from jet lag staff and food was excellent... place was a little dirty and smelly. In the evening when check in this hotel, don't have any problem, feel this resort just for my short trip and near to the Seacon Square. This place far away from the Bangkok city, so you won't feel rushing. My nightmare started in the morning. There is a group of people making loud noise and keep screaming at 4.30am. Call operator to complaint but this girl hang my call twice just because she don't understand english! Feel so rude!! After that 5am there a guy call me back, and I complaint about this matter, but the noisy people still continue screaming until 5.30am! 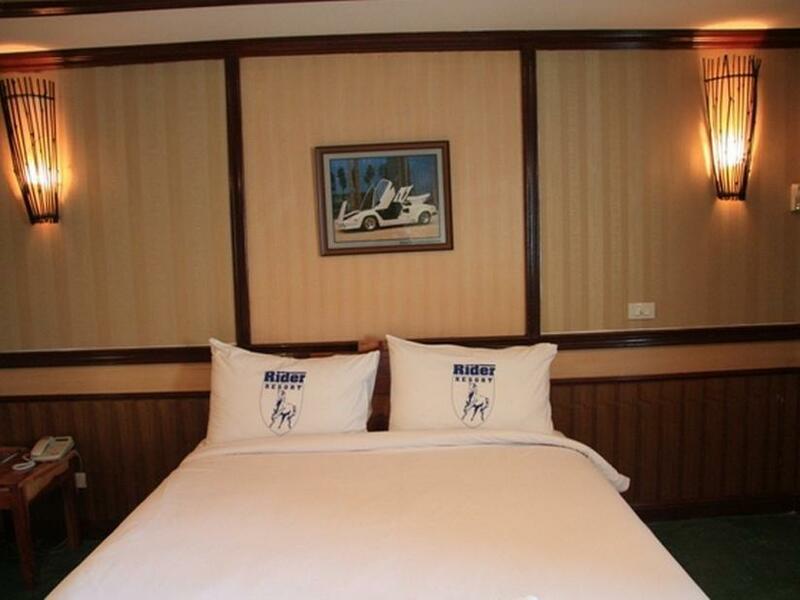 The hotel location is just nice, it is very near to the shopping mall and very convenience to who staying over there. Another thing is the foods are very delicious! 1 thing I'm not quite satisfy is the rooms facing garden side are very noisy because there is live band or music on every nights...Also, room is lack of maintenance service.. Other than these are okay! Try something different in Bangkok. This hotel has a USA Biker Bar theme. It could easily be in Las Vegas. S You can negotiate for the Thai price. It includes use of a clean room on the 3rd floor of the hotel with.shower on the TV. Breakfast is included with the room, but not great. The WiFi is weak. Ask for a room near the elevator for better reception. A large mall is just 1.5 blocks away with many great restaurants and shopping. Rooms basic, only one electric outlet in rooms, poor internet, mattress very hard, can hear band from 9pm to about 1-2am every night so not quiet in room and was on 5th floor. Staff friendly and if you do not mind the noise or like to hang out not a bad place.